Tegan and Sara will release a very special 10th Anniversary edition of their breakthrough album So Jealous, entitled So Jealous X, on December 23rd on Warner Bros. Records. Said Tegan and Sara: "Because So Jealous changed the course of our sound, our career and most importantly our lives, we didn't want to just re-release the record. Instead we wanted to re-ignite the fire that inspired us to make the record in the first place and hopefully allow it to reach a whole new audience." To that end, So Jealous X comes with a 110-page hardcover book that looks back at the album through photos and written recollections from Tegan and Sara, their band members and crew, and industry colleagues. It features essays, original journal entries from the time period, never-before-seen photos, a catalogue of merchandise, and tour posters and laminates in addition to the music. The three discs feature the original So Jealous album and a 22-track bonus audio CD that includes five new electronic remixes, three cover songs from artists Tegan and Sara love, plus five B-sides and nine demos from that time period. It also includes a DVD of a live concert and other tour documentaries that Tegan and Sara released in 2006 called "It's Not Fun, Don't Do it!" So Jealous X is currently available for pre-order in several different configurations here. 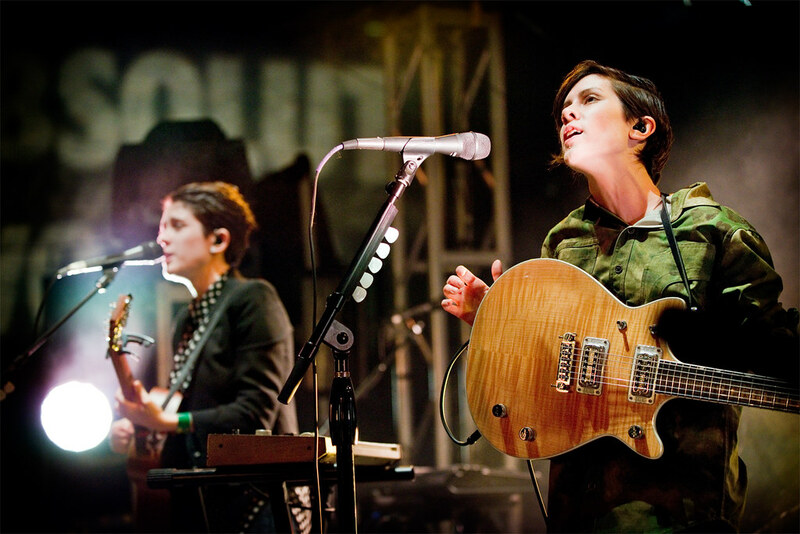 Having just wrapped a tour with Katy Perry, Tegan and Sara are currently out on their final headlining run of 2014, before breaking to begin writing the follow-up to Heartthrob in 2015.